The 2015 European Championship flyweight silver medallist, Muhammad Ali, super-heavyweight, Frazer Clarke and light-heavyweight, Tom Whittaker-Hart, will make their debuts in the World Series of Boxing (WSB) this Friday when the British Lionhearts take on the Morocco Atlas Lions in Casablanca. 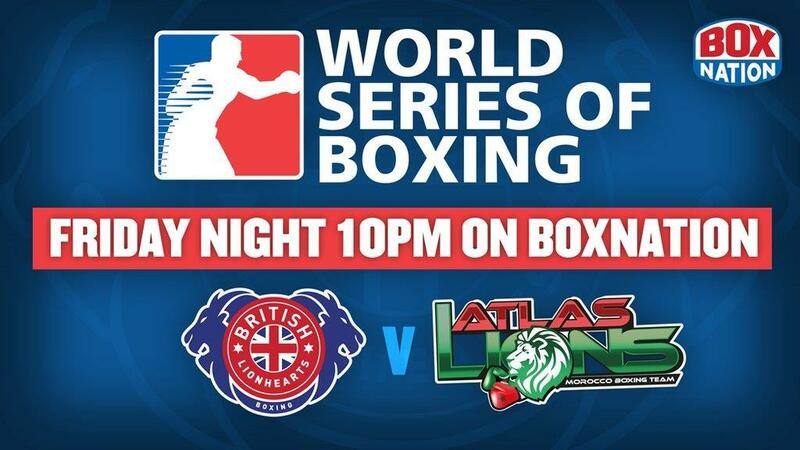 The match will be shown live on BoxNation from 10.00pm on Friday 5 February 2016. BoxNation is available on Sky 437/490HD, Virgin 525, Freeview 255, TalkTalk 415. Subscribe at www.boxnation.com or watch online at watch.boxnation.com and via iPhone, iPad or Android and Amazon devices. The match will be the first competitive outing for Ali since the 19-year-old from Keighley boxed in last October’s AIBA World Championships in Doha where a cut eye curtailed his participation in the competition. For Clarke, it is an opportunity for the 24 year-old from Burton-on-Trent to continue his excellent form of the last 12 months and test himself in WSB’s five-round format for the first time in his career. The same is true of Liverpool’s Whittaker-Hart, a member of GB Boxing’s Podium Potential squad, who will be looking to impress on his debut in the competition. The trio will be joined in the Lionhearts’ team by Birtley’s Luke McCormack at lightweight and Nottingham’s Ekow Essuman at welterweight. McCormack’s only previous outing in WSB was against the Morocco Atlas Lions in last year’s competition when he defeated Abdellah Boudrar. Essuman has two victories from five outings in last season’s WSB. The British Lionhearts will be aiming to build on the team’s strong start to the season which began with a 3-2 victory over the USA Knockouts in week one. The Atlas Lions aim to bounce-back after going down 4-1 away to the Mexico Guerreros in their season opener. The Lionhearts’ first home fixture of the season will be on Thursday 18 February 2016 against the Mexico Guerreros at York Hall (doors at 6.30pm, boxing from 8.00pm).